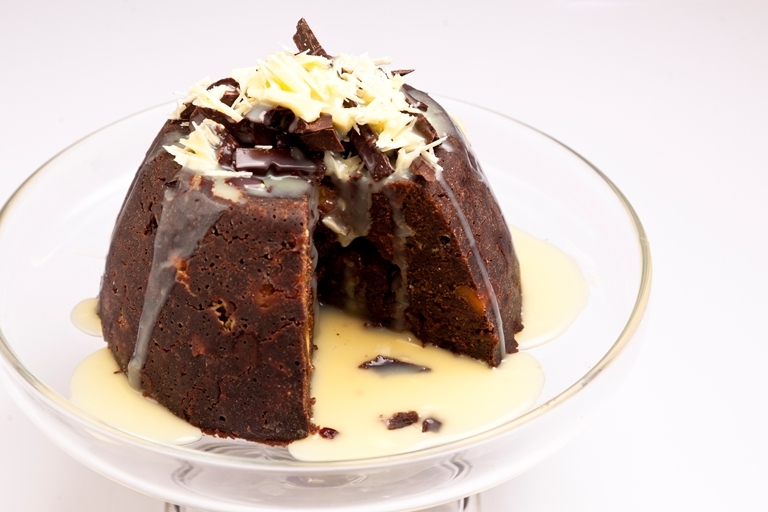 This chocolate Christmas pudding recipe from Paul A. Young is a great twist on the traditional festive dessert, with the inclusion of three forms of chocolate. Paul advises making the pudding at least 6 weeks before the big day so the heady flavours can develop and mature. Paul A Young is ranked as one of the world's leading chocolatiers, conjuring up confectionery that is original, artistic and, above all, wonderfully tasty.